Planning a special occasion around Waterbury CT? Whether it be for an upcoming birthday, wedding, anniversary, party, or any other celebration, consider booking a luxury limousine for the night! Perfect for any occasion, a limousine provides not just fun for everyone, but a safe and reliable form of transportation for your event. 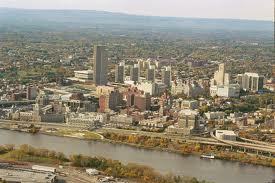 Figure out what Waterbury limo option would work best for you. The most popular event for limousines in Waterbury is wedding services. A staple to any wedding, there are several limousines perfect for your day depending on how many passengers or the look you’re going for. From the standard CT stretch limousine to some super stretch and exotic limos, there’s a ride perfect for you and your wedding party! Plan ahead and also consider other Waterbury limousine vehicles like a private town car for after the ceremony possibly to get the bridge and groom privately to the airport, or to impress the new in-laws needing a ride back home or to a local hotel. Don’t forget about the rest of your guests either and make sure they get home safely after the reception with a large passenger van for multiple passengers. Remember the party before the wedding with the bachelor and bachelorette parties for the soon to be newlyweds! For those looking to plan a fun night on the town, at a casino, or any other venue, book a limousine in Waterbury to get you around late into the night! With services available 24 hours a day, reservations in a stretch Hummer, Escalade, or Limo Party Bus can be made until dawn if you want to keep the party going as long as possible! 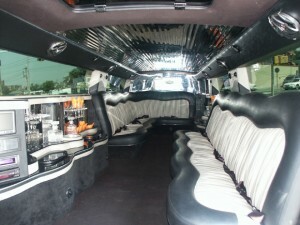 Not just for weddings and special , but Waterbury limos are great for any type of transportation. Even if you’re looking for a ride to the airport, school, or business meeting, check for availability and affordable pricing for some of the more standard vehicles in the Waterbury CT limousine fleet. You won’t regret making a reservation in any one of the luxury limousines in Waterbury for your ride!